Award Winning Studio "Business of the Year 2017" & "Small Business of the Month 2018"
what you like to paint. 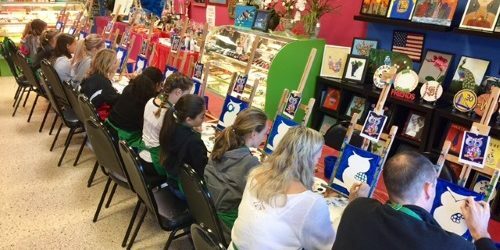 Best for birthdays, fundraisers, team parties, corporate team building events, girls’ social events, parent’s socials, girl scouts, mother-daughter activities, women’s clubs or for a small group of friends to have fun! Lafayette, Pleasanton and South Bay.